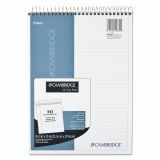 Cambridge Stiff Back Wire Bound Notebook, College Rule, 8 1/2 x 11 3/4, White, 70 Sheets - Wirebound pad contains 70 sheets of heavyweight, 20 lb. paper. 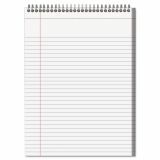 Each sheet is micro-perforated for clean tear-out and college-ruled with 9/32" line spacings and a 1-1/4" left margin. 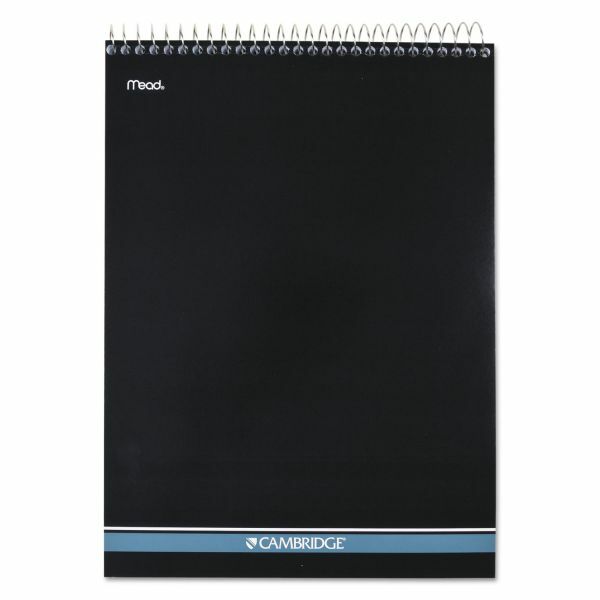 Design includes a stiff, 80 point backing for portable writing convenience. 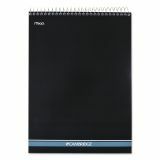 Pad has spiral lock at the top for easy note-taking and a protective cover.